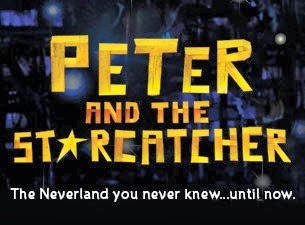 PETER AND THE STARCATCHER, the most magical evening of madcap fun, is now on tour! Hailed by The New York Times as "THE MOST EXHILARATING STORYTELLING ON BROADWAY IN DECADES," this comedy takes a hilarious romp through the Neverland you never knew. The winner of 5 Tony Awards®, this swashbuckling prequel to Peter Pan will have you hooked from the moment you let your imagination take flight. PETER AND THE STARCATCHER is the innovative and imaginative comedy based on the best-selling novel by Dave Barry and Ridley Pearson. A company of a dozen actors play more than a hundred unforgettable characters, all on a journey to answer the century-old question: How did Peter Pan become The Boy Who Never Grew Up? This epic origin story of popular culture's most enduring and beloved character proves that your imagination is the most captivating place in the world. Group tickets for 10 or more are now on sale by calling Broadway In Chicago Group Sales at (312) 977‐1710.